To help business travelers avoid cultural problems when traveling to Japan, I interviewed cultural expert Gayle Cotton. Ms. Cotton is the author of the bestselling book, Say Anything to Anyone, Anywhere: 5 Keys To Successful Cross-Cultural Communication. Ms. Cotton is also a distinguished keynote speaker and an internationally-recognized authority on cross-cultural communication. She's President of Circles Of Excellence Inc. Ms. Cotton has been featured on many television programs. Ms. Cotton was happy to share tips with About.com readers to help business travelers avoid potential cultural problems when traveling. 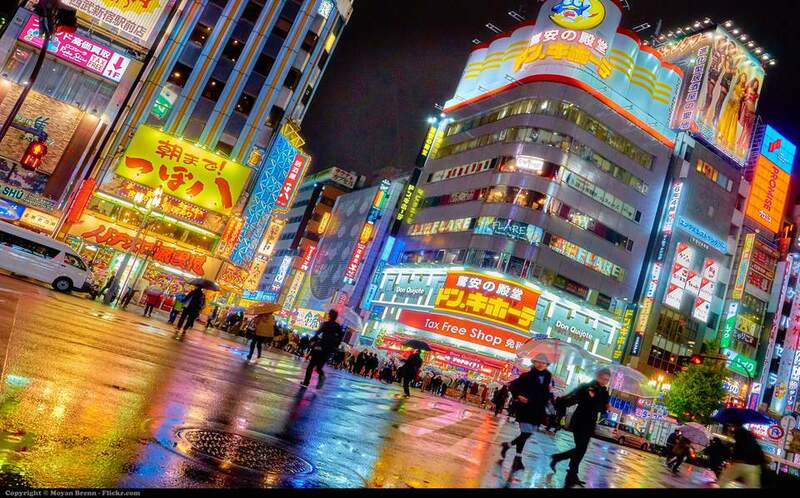 What tips do you have for business travelers heading to Japan? In the Japanese business culture, punctuality is absolutely necessary because the Japanese believe it is rude to be late. Business cards (“meishi”) are an important part of doing business in Japan and key for establishing credentials. It's preferable to have one side of your card printed in English and the reverse in Japanese. It is traditional to present your card with the Japanese side facing up, held with both hands between the thumbs and the forefingers. This may be accompanied by a slight bow, which is usually lower based on the age and hierarchy of the person receiving the card. However, don't be surprised if your Japanese counterpart greets you with a westernized business card exchange! The Japanese will usually shake hands with Westerners as a way of making them feel comfortable. In turn, it’s helpful for Westerners to bow slightly to demonstrate that they are also taking the initiative to learn some Japanese customs. This simple gesture can do a lot to help a businessperson in establishing rapport with a potential Japanese client. When receiving a business card, carefully examine it and make an interesting remark about the person’s title or occupation. Then place it on a nearby table during a meeting or in your card case if not meeting at that time. Stuffing it into a pocket is considered disrespectful. Writing on a business card is also inappropriate. The bow is an important part of Japanese business protocol. Bows are used for expressing appreciation, making apologies and requests, as well as for greetings and farewells. Bows convey both respect and humility. The depth of the bow depends on the recipient's rank and status. When bowing to an individual who is of higher status than you, bow a little lower than that person to display deference. Do the same if you are uncertain of the status of the person that you are facing. With a person of your equivalent status, bow at the same height. You may be asked some personal questions regarding your salary, education, and family life. If you don't want to answer, remain polite and gracefully side step the question. Be careful when asking the Japanese certain questions. If the response is "maybe", "possibly", or "I’ll consider it", the answer is very possibly “no”. The Japanese prefer to avoid saying “no” directly. Meanings may be read into even the slightest gestures. Consequently, avoid displaying unusual facial expressions and motioning in ways that are remotely dramatic or expansive. The American "O.K." sign (thumb and forefinger shaped into an "O") actually means "money" in Japan. Instead of pointing, which is considered rude, use your whole open hand to point. Blowing one's nose in public is regarded as impolite. When necessary, use a disposable tissue and then throw it out immediately. The Japanese find the idea of keeping a used handkerchief or tissue in a pocket disgusting. Laughter may indicate embarrassment or distress, rather than amusement. Smiling can also be used for self-control, particularly in masking displeasure. It is considered polite to periodically say “I’m sorry.” For example, the Japanese will apologize for not being punctual enough, having a cold, taking you to a disappointing restaurant etc. Visitors are encouraged to incorporate similar apologies into their conversation. "Saving face" is a very important concept to understand. When a person loses his or her composure or otherwise causes embarrassment, even unintentionally (“losing face”), it can be disastrous for business relationships. What is important to know about the decision making process? The decision making process typically takes longer than in many other countries, because the Japanese must get to know and trust you before they will partner with you. Maintaining "correct" relationships between people, and keeping harmony within groups and teams is considered to be very important. Be especially respectful to your older Japanese counterparts--age equals rank in the Japanese business culture. When you start speaking, it is polite to direct your first remarks to the most senior member, and then to appropriate individuals. Non-Japanese business women are treated very politely in business. It is understood that Western women hold high-level positions in business; however women must still establish their credibility and position of authority. Businesswomen can invite a Japanese businessman to lunch or dinner; however allows your Japanese colleague to pick the restaurant. If you need to point, use the index finger. Pointing at other people, however, is often considered rude. What are some good suggestions for topics of conversation? What are some topics of conversation to avoid?